Preview of the Canadian Grand Prix on 9 June 2013 and a look at a possible solution to the Pirelli tyre problem that is stopping drivers racing to their full potential. The Formula One racing teams head for Montreal and the Canadian Grand Prix on Sunday 9 June 2013. This preview by Steve Rogerson looks at what can be expected from the circuit and provides the latest news from the teams. Steve also gives his view on how to solve the current tyre problems that have dominated the headlines. Sebastian Vettel and Red Bull are looking comfortable at the top of the Formula One standings ahead of the Canadian Grand Prix in Montreal on Sunday 9 June 2013. This is despite only managing second last time out in Monaco with Vettel’s team mate Mark Webber in third. But few would doubt that in the actual race Red Bull were the better team. 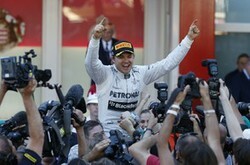 Nico Rosberg won in the Mercedes after taking pole in qualifying and the lack of overtaking opportunities in Monte Carlo meant he hung onto that position throughout the race. Rosberg’s team mate Lewis Hamilton, who was alongside him at the front of the grid, was passed by the Red Bull pair during one of the pit stops. Hamilton has gone on record saying that he is struggling to come to terms with the different braking system used on the Mercedes compared with the McLaren he drove last season. With Montreal noted for being heavy on brakes, that doesn’t look good for the British driver. Force India had a good time in Monaco with both its drivers in the points, Adrian Sutil finishing fifth and Paul di Resta ninth. McLaren showed minor improvements on their woeful start to the season with Jenson Button in sixth place. His team mate Sergio Perez was also looking good for points until he crashed out with six laps to go due to a brakes problem. Ferrari will have been disappointed as Fernando Alonso could only manage seventh and his team mate Felipe Massa’s race ended with a spectacular crash that was like an action replay of the one he did in practice that led to him missing final qualifying and starting from the back of the grid. The team are saying it was caused by a suspension failure. It was also a bad day for Lotus with Kimi Räikkönen picking up the team’s only point in tenth place but Toro Rosso will be happy with Jean-Eric Vergne’s eighth place. Built on an island on the St Lawrence River, the Montreal circuit is bumpy and requires heavy braking, putting a lot of strain on the tyres. This is bad news for teams and fans as Pirelli has said it will not be bringing in the new specification tyres for this race as expected; these will now make their debut at the British Grand Prix though some will be tested during the Friday practice sessions. The run into the tight L’Epingle pin hairpin is probably the best opportunity for overtaking, though the combined effects of DRS and kers have created more openings. There is normally a good battle at the start as the cars race side by side into the first bend. Lewis Hamilton won this race last year. The row over tyre testing should not be allowed to disguise the reason for wanting the tests in the first place and that is the Pirelli tyres that have been used so far this season have clearly not been good enough. And with Montreal threatening to be a repeat of the fiasco in Spain with multiple tyre stops just to survive the race, surely now is the time to look at scrapping the current tyre regulations. What is needed is to go back to a situation of having more than one tyre maker. Each team should be able to choose which manufacturer it works with and there should be no restrictions on the quality of the tyres used. Formula One is meant to be about engineering excellence, and that should apply to the tyres as well. If a team and tyre maker between them come up with a tyre that is fast enough and durable enough to last the whole race, then let them get on with it. This means also scrapping the ridiculous regulation that someone tells the teams what compound tyres they have to use; let them make up their own minds. To keep costs in check, the limit on the number of sets of tyres across qualifying and the race can still remain in place. And to stop someone designing a tyre purely for qualifying (very fast, but only lasts around four laps), then keep the rule that the tyres used in the fastest lap in the top-ten shootout have to be the tyres used to start the race. Pirelli should be happy about this. It came into Formula One to gain from the publicity of these top racing teams using its products. Instead we have seen drivers tiptoeing around the circuits to protect tyres that are not up to the job. Pirelli is thus becoming associated with poor quality, especially after Spain, not what it intended when it won the contract. A change that brings in real competition in tyres and lets all tyre makers produce products to the quality they would like has to be a good move. Renault will supply Toro Rosso with its turbocharged V6 engine and energy recovery systems (ERS) from 2014 onwards. This builds on the existing relationship between Renault and Toro Rosso’s sister team Red Bull. They have agreed to continue this association into 2014 and beyond, with Red Bull remaining the development partner for the new V6 turbo power unit. Williams, meanwhile, will use Mercedes engines from 2014 onwards. Mercedes will supply Williams with engines and the associated ERS, which is claimed to deploy ten times more energy than the current kers. Williams have used Renault engines for the past two seasons. Ferrari’s Felipe Massa and Williams’ Pastor Maldonado, who both had heavy crashes in Monaco, have announced they will be fit to race in Canada. Constructors: 1. Red Bull 164, 2. Ferrari 123, 3. Lotus 112, 4. Mercedes 109, 5. Force India 44, 6. McLaren 37, 7. Toro Rosso 12, 8. Sauber 5. Drivers: 1. Sebastian Vettel 107, 2. Kimi Räikkönen 86, 3. Fernando Alonso 78, 4. Lewis Hamilton 62, 5. Mark Webber 57, 6. Nico Rosberg 47, 7. Felipe Massa 45, 8. Paul di Resta 28, 7. Romain Grosjean 26, 10. Jenson Button 25, 11. Adrian Sutil 16, 12. Sergio Perez 12, 13. Daniel Ricciardo 7, 14. Nico Hulkenberg 5, 15. Jean-Eric Vergne 5.